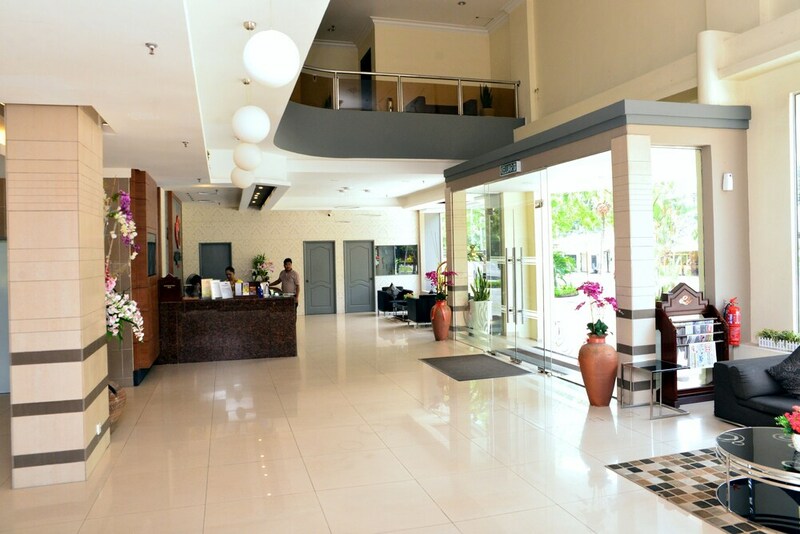 This family-friendly Langkawi hotel is located in the business district, within a 15-minute walk of Lagenda Park, Eagle Square, and Night Market. Kuah Jetty and Langkawi Terminal Ferry are also within 1 mi (2 km). Along with a restaurant, this hotel has an indoor pool and a fitness center. Free WiFi in public areas and free self parking are also provided. Other amenities include a conference center, conference space, and a children's pool. All 143 rooms provide free WiFi, free minibar items, and cable TV. Room service, coffee makers, and free bottled water are among the other amenities available to guests. The hotel offers a restaurant. Public areas are equipped with complimentary wireless Internet access. In addition to an indoor pool, Langkawi Seaview Hotel provides a fitness center and a children's pool. This family-friendly hotel also offers tour/ticket assistance, a garden, and complimentary newspapers in the lobby. Complimentary self parking is available on site. King Fisher Cafe - This restaurant serves breakfast, lunch, and dinner. Start your morning with a buffet breakfast, available each day from 7 AM to 10 AM for a surcharge. You can order up room service during limited hours. Sri Indah Apartment is located 3 minutes walk away from Langkawi Seaview Hotel. Guests staying at Sri Indah Apartment are still required to check-in at Langkawi Seaview Hotel. Rollaway/extra beds are available for MYR 70.0 per night. Cribs (infant beds) are available for MYR 30.0 per night. Only registered guests are allowed in the guestrooms. No pets and no service animals are allowed at this property. Alcohol is not served at this property.